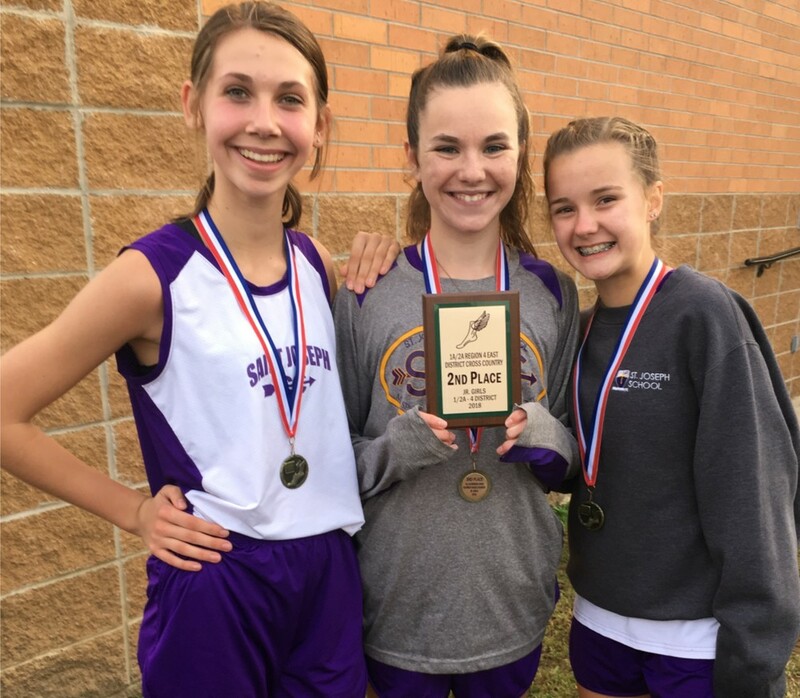 The Cross Country Teams had a successful day at the District Meet in Quitman on October 22nd. Freshman Ashleigh Mallett won First Place in the 2.5K run with a time of 10:06. Eighth grader Ruby Jones was Second at a time of 10:23. Fellow eighth grader Chloe Skinner won Third Place with a time of 10:58. Being as how this was Ashleigh's last run in the Junior Division she was then eligible to compete in the Senior Division's 5K Run. She took Third Place in that event with a time of 21:30. Sophomore Lilly Hill came in Fifth Place with a time of 22:22. The Junior Boys finished in Third Place, four points behind Second Place. In the Senior Boys Division, our Senior Boys were District Runner Up just seven points behind Quitman. Truman Martin finished Fourth Place overall with a time of 19:23 in the 5K Run.